This is the card I made for my sister-in-law's 50th birthday. 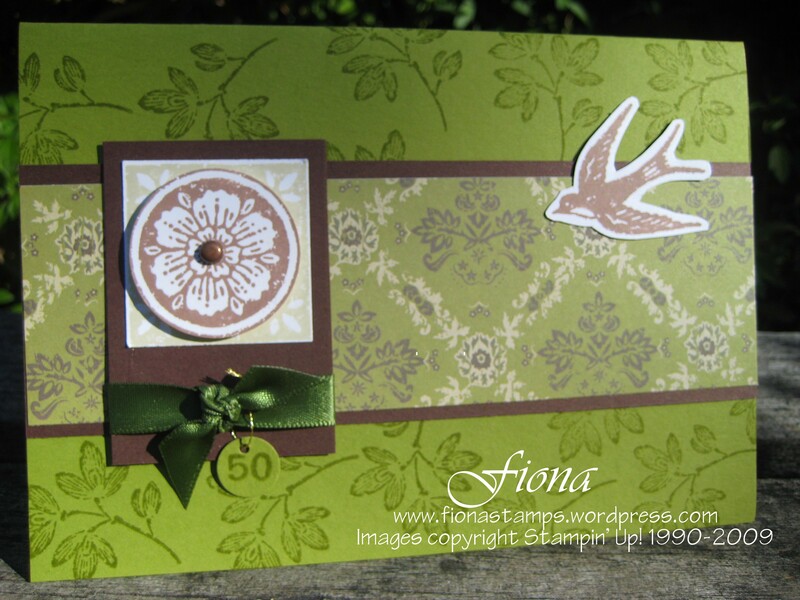 I am so loving the Carte Postale set, especially with the Brocade Background papers. It is just too easy to make something beautiful!